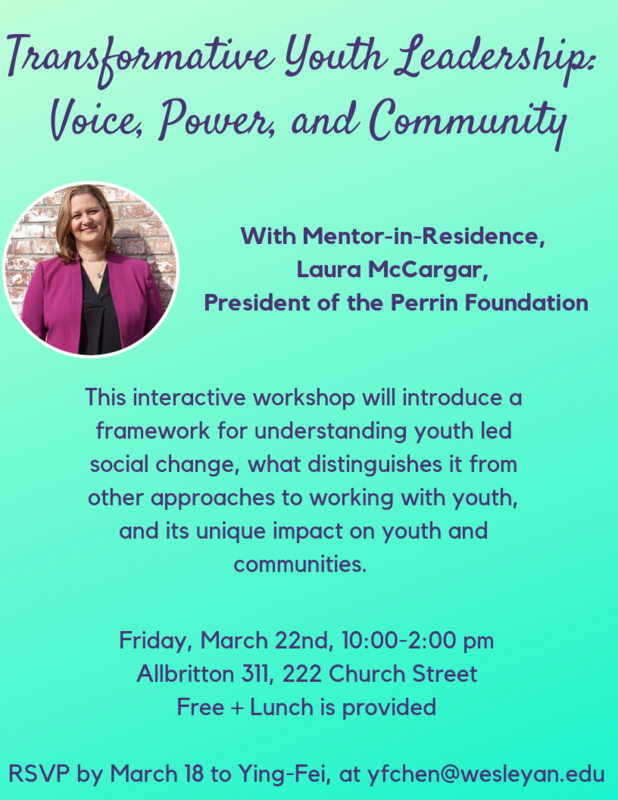 This interactive workshop will introduce a framework for understanding youth-led social change, what distinguishes it from other approaches to working with youth, and its unique impact on youth and communities. All are invited, especially community partners working in youth leadership. 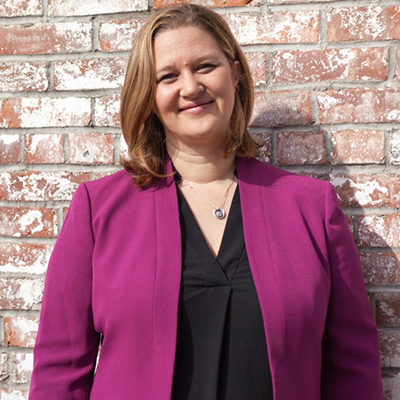 Laura McCargar is the President of the Perrin Family Foundation, a philanthropic organization that engages in grantmaking and capacity building to advance youth-led social change in Connecticut. As the 2018/2019 JCCP Mentor-in-Residence, Laura teaches a course in the Allbritton Center for the Study of Public Life entitled: Youth, Power and Social Change, which will explore the 1990s popularization and rise of the field of youth organizing as an intentional strategy for transforming youth, communities, and the broader social and political structures and institutions that shape their lives. Allbritton 311, 222 Church St.
Free, and lunch is provided. Space is limited!